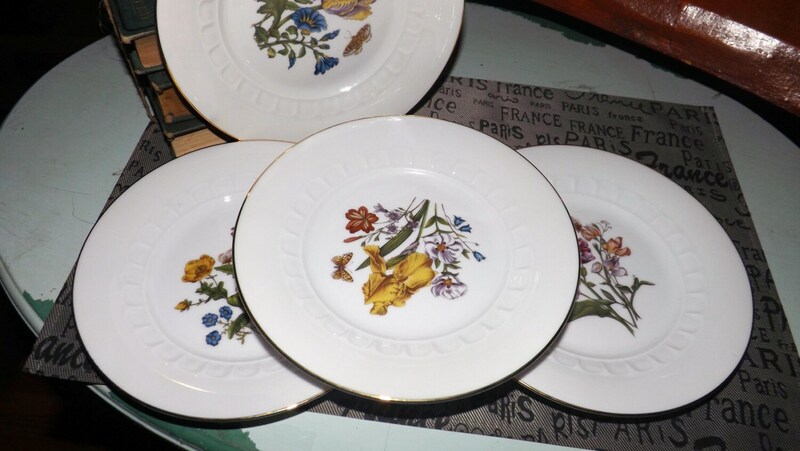 Set of 4 later mid-century (late 1950s) Josef Kuba Weisay | JKW salad or side plates. 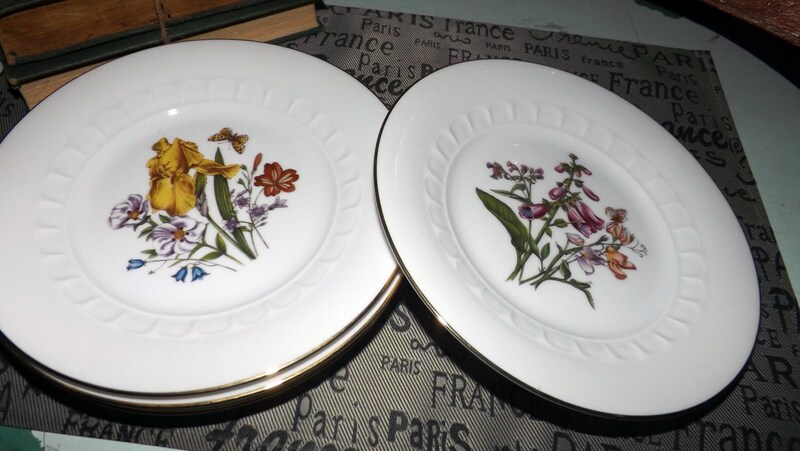 These plates feature a variety of multicolor florals with an embossed verge and gold edge. 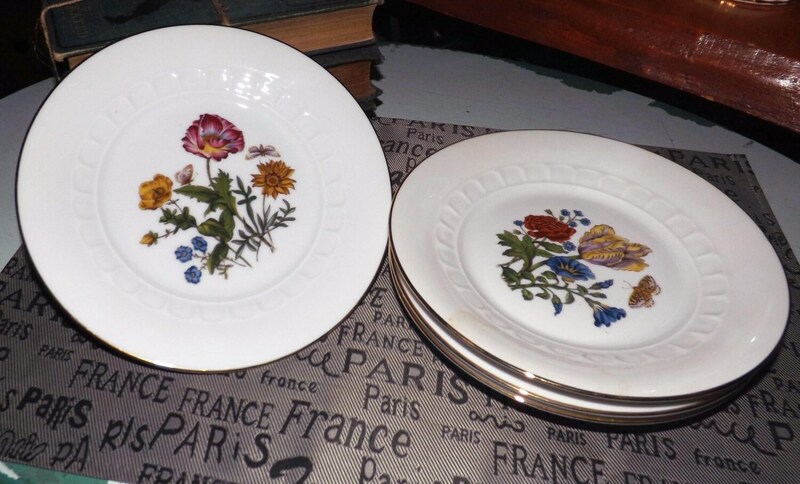 Made in Germany, these plates are In EXCELLENT! condition with NO! chips, cracks, fleabites or crazing, NO! gold loss to the edge and NO! marks, stains, scratches or other signs of use or wear. The central florals are bright and vibrant with NO! fading. Approximate measurements: 8" in diameter. 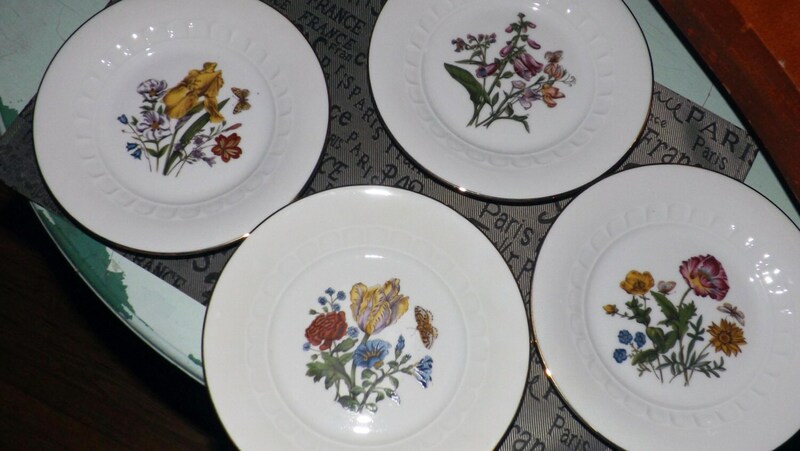 NOTE: Other pieces of Josef Kuba | JKW are also available in the shop. DO! 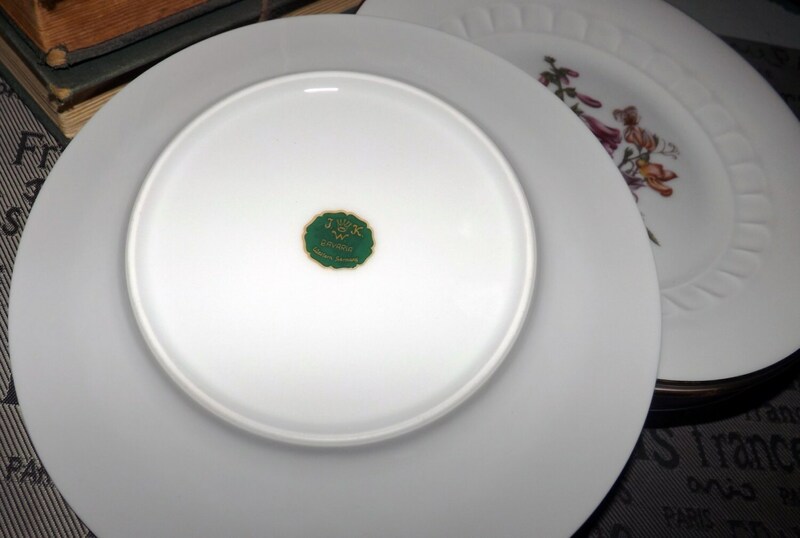 check them out using this convenient link: Set of 4 mid-century (c. late 1950s) Josef Kuba Weisau | JKW salad plates. Multicolor florals, gold edge, emboassed details.